An Egyptian court on Monday sentenced 529 members of the Muslim Brotherhood to death over several charges including murder. Most of defendants are supporters of ousted Egyptian President Mohammad Mursi, and were arrested during clashes in the southern province of Minya, after security forces dispersed two Muslim Brotherhood protest sites in Cairo on August 14, Reuters news agency reported. "The court has decided to sentence to death 529 defendants, and 16 were acquitted," lawyer Ahmed al-Sharif told Reuters. Other charges included violence, inciting murder, storming a police station, attacking persons and damaging public and private property. However, the ruling can be appealed. Out of the defendants, only 123 were present in the courtroom, while the others were released, on bail, or had escaped. 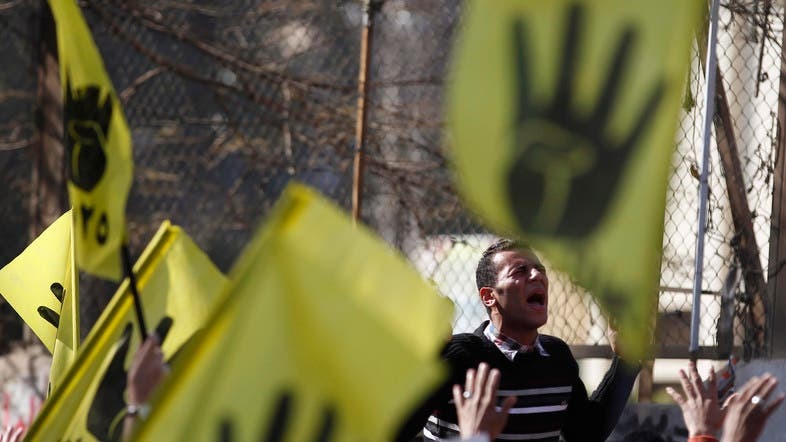 The military led Egyptian government had enlisted the Muslim Brotherhood as a terrorist group, as political turmoil deepened, and violence surged across the country after the overthrow of Mursi last July. Security forces killed hundreds of members of the Brotherhood and supporters of the former president, and arrested thousands more. The United States is “deeply concerned” about the death sentences handed out against Mursi supporters, a U.S. official said Monday. “While appeals are possible, it simply does not seem possible that a fair review of evidence and testimony consistent with international standards could be accomplished with over 529 defendants after a two-day trial,” Agence France-Prese quoted a State Department official as saying. The official, citing reports of violence in response to the sentences, warned that such a reaction would not help either. Will Egypt’s crackdown on top Islamists banish the Brotherhood?